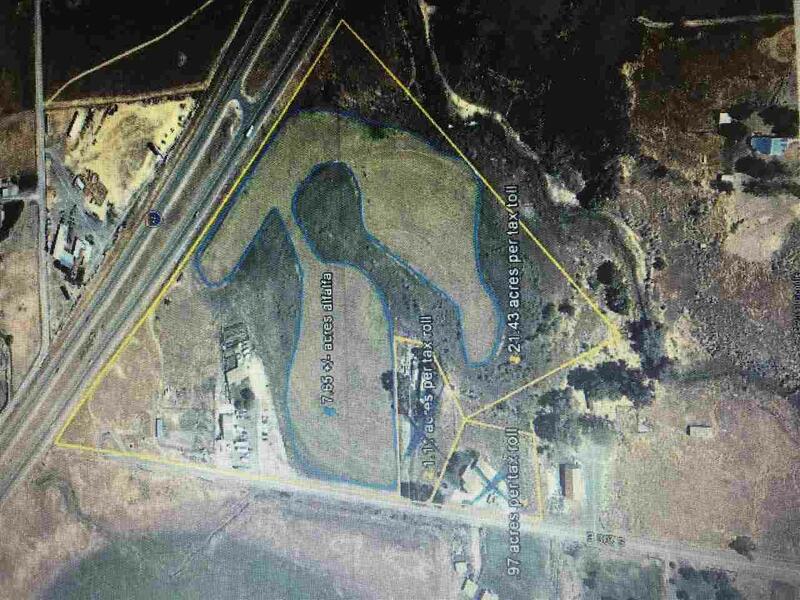 Great commercial property with lots of freeway frontage. Large Shop is being used as a repair shop and there are 2 storage containers there is also a 3 bedroom manufactured home. 21.43 acres includes pivot and water shares. Could possibly sell farm ground and the shop and house as two separate parcels. Possible use for ground would be agri related or maybe a place for RV storage half way between Jerome and Twin Falls next to the freeway. Eqipment in shop is excluded. Directions: From Jerome Golf Course Rd. to 500 S. turn East go to 200 East and go North (left) to end of Road.